Touch ‘n Foam insulating foam sealants and adhesives are the ideal solution for a wide variety of residential and commercial applications. From insulating an entire attic to sealing small gaps, Touch ‘n Foam products help control air flow in and out of homes and buildings resulting in a more comfortable living environment and reduced energy bills. 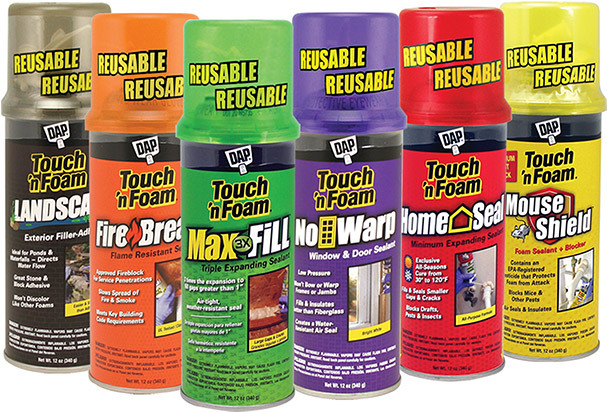 Plus, with products for jobs of all sizes, the Touch ‘n Foam line makes sealing and insulating easy and cost effective. 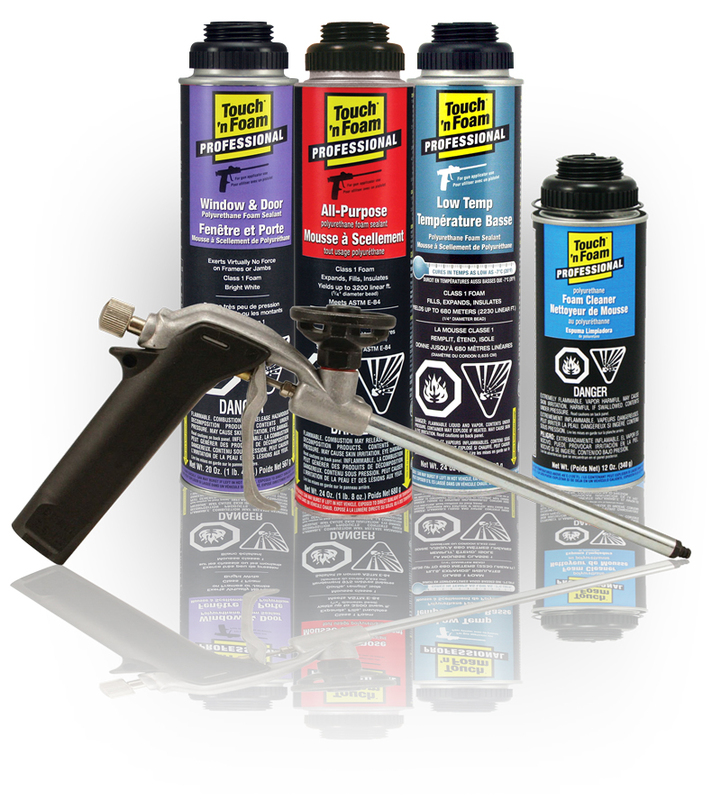 These ready to use expanding foam sealants provide quick and inexpensive solutions to sealing all types of gaps, holes and cracks. The line contains both minimum and maximum expanding sealants as well as specialty products for doors, windows and landscaping applications. Designed for professional contractors, Touch ‘n Foam gun foams utilize applicator guns for greater bead control and adjustable output. The All-Purpose Foam Sealant is a Type V Residential Fireblock used to fill and seal cracks, holes and joints around a structure, but the line also includes a low expansion foam for sealing around doors and windows as well as specialty foams for landscape and low temperature applications. 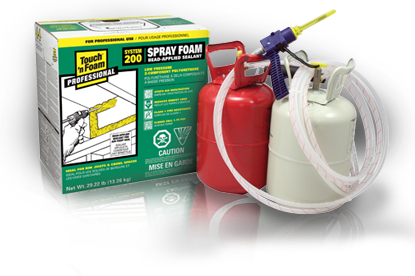 Designed for larger insulating, sealing, patching and filling applications, Touch ‘n Foam Pro's self-contained 2-component spray foam insulation kits are portable and disposable. The kits are available in 3 sizes and feature pre-attached hoses and ergonomic foam applicators. Developed for the exacting needs of professional builders and contractors, these all-weather foam adhesives yield 10 times the coverage of traditional construction adhesives and provide a dense, super-strong bond that won’t produce squeeze out. 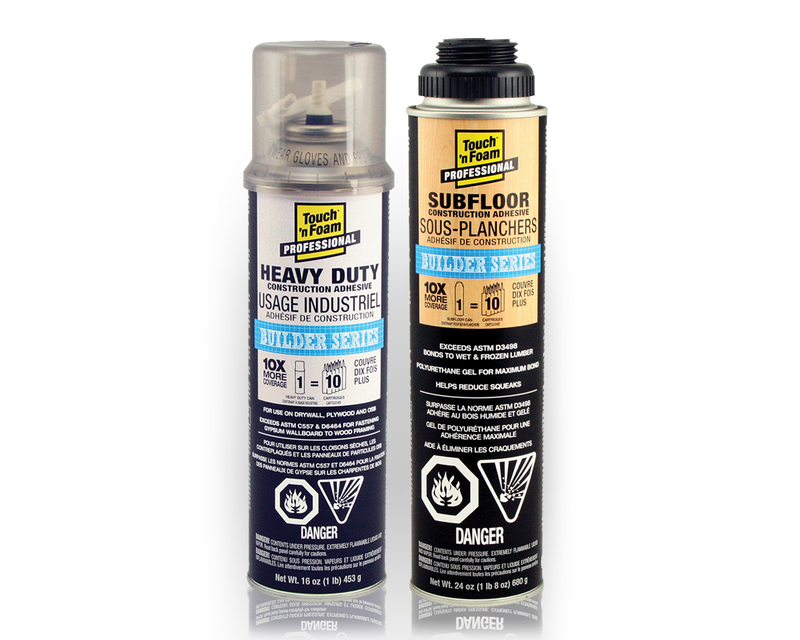 The line features a general, heavy-duty adhesive in a ready to use can as well as a specialty subfloor adhesive for use with our professional gun applicator.